The mission of Safe Kids Austin is to prevent unintentional childhood injuries in the Greater Austin Area. Our vision is for children to have safe communities to live, laugh, and play. Safe Kids Austin, led by Dell Children’s Medical Center of Central Texas, is a coalition of more than 40 active members representing community, civic, and state organizations. The coalition focuses on reducing child injury primarily by promoting safety in vehicles, in and around water, and while walking and biking. Safe Kids Austin is a member of Safe Kids Worldwide, the nation’s first non-profit organization dedicated solely to the prevention of unintentional childhood injury. Safe Kids Austin promotes changes in attitudes, behaviors, laws and the environment to prevent unintentional injury to children. 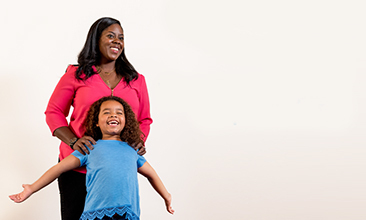 In the United States, Safe Kids partnerships have contributed to a 45 percent reduction in the child fatality rate from unintentional injury – saving an estimated 38,000 children’s lives. Locally, this is done through community partnerships, advocacy, public awareness, education, and distribution of safety equipment. Biking is a great way for kids to have fun, be active and gain a sense of freedom. 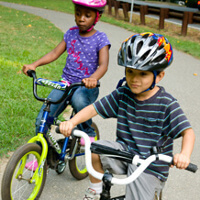 Yet more children age 5 to 14 are seen in emergency rooms for injuries related to biking than any other sport. Follow these safety tips to help prevent bike injuries. Keeping your child safe while on the go is important. Motor vehicle crashes are the leading cause of death for children ages 5 to 14 years old. 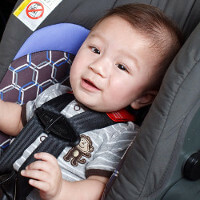 Child safety seats, when used correctly, can reduce serious injury by up to 71 percent. Follow these safety tips to keep your child safe when in the car. 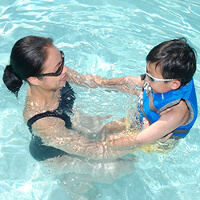 Drowning is the leading cause of death from an unintentional injury among children ages 1 to 4 years old, but drowning is 100 percent preventable. Whether it’s a trip to the beach, a day at the lake, or a dip in your neighborhood pool, make sure everyone stays safe in the water. 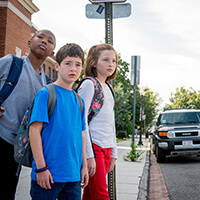 All kids deserve to be safe when walking to school, crossing the street, or heading down to a neighbor’s house. Pedestrian safety depends on many factors, including the behavior of those walking and driving, street design, visibility, and other environmental factors. Suffocation due to an unsafe sleep environment is the leading cause of injury-related deaths among children under 1 year of age. By following a few simple tips, parents and caregivers can create a safer sleep space for little ones. Every dollar helps. Please visit www.supportdellchildrens.org/give, choose the "Make a Donation" button, enter the amount of your donation and from the drop down menu designate "Safe Kids Austin."